When: Sat., April 27, 4-11:45 p.m. & 12 a.m.-2 p.m.
Www.artallnight.org WHEN: Sat, April 27th @ 4 pm to Sun, April 28th, @ 2 WHERE: 31st Street Studios - STAGE 5, 77 31st St., Pittsburgh, PA 15201 Art All Night is a FREE 22 hour art festival featuring NON-CENSORED, NON-JURIED artwork from hundreds of local artists. This 22 year tradition is host to children’s and onsite collaborative activities, an art auction, live bands and comedians. We need YOUR help! Anyone can submit 1 piece or art per person, to show at Art All Night, and/or you can volunteer. 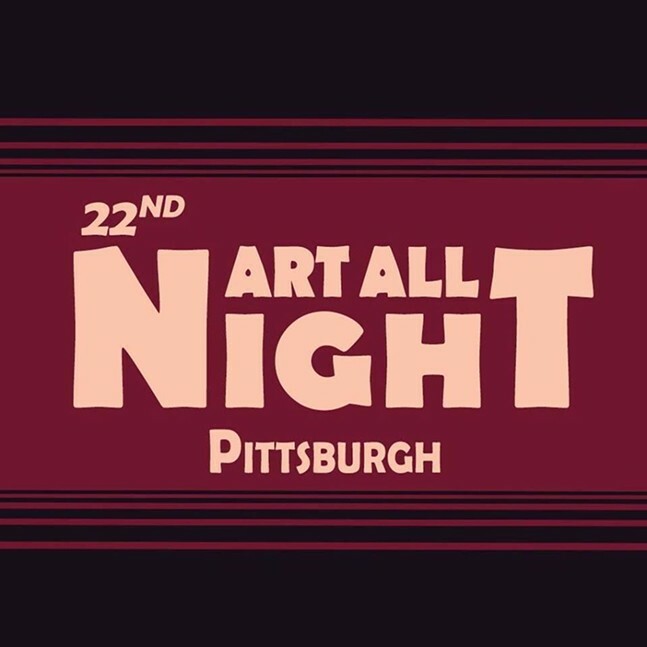 Register your art or volunteer at artallnight.org.